Pets Welcome in Rocky Mount! 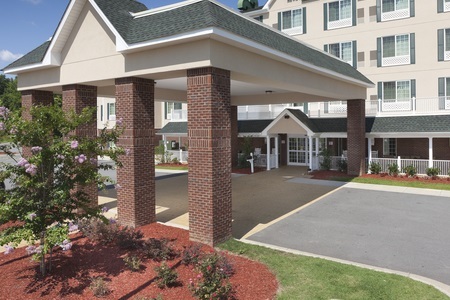 Situated just off U.S. 64 and I-95, the Country Inn & Suites® by Radisson, Rocky Mount, NC welcomes interstate travelers looking for an inviting place after a long drive. You can soothe your tired muscles in the hot tub while your kids work off some energy in the indoor pool. If you’re traveling with your furry companion, don’t worry—we’re a pet-friendly hotel. Please note that our hallways and public areas are currently undergoing renovations. 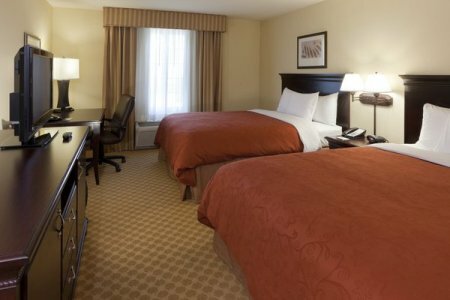 We appreciate your patience as we update your home away from home. Need more room for the kids and their gear? Reserve a Studio Suite, which features all standard amenities along with a sleeper sofa and extra space. Greet the morning with a crispy waffle and fresh fruit at the hotel’s complimentary, hot breakfast. For a meal on the go, you can grab a bagel and cup of coffee before rushing out the door. For lunch and dinner, try a nearby restaurant like The Highway Diner, next door to the hotel. Order a classic hamburger and a banana split to enjoy on the restaurant’s patio or in the comfort of your room. Golden East Crossing – Did you leave your swimsuit at home? Get a new one at Golden East Crossing mall, only a six-minute drive from the hotel, and then browse the dozens of shops that include Belk, JCPenney and Ross. Children’s Museum & Science Center – Located at The Imperial Centre about six miles away, this fun museum lets kids learn the science behind dancing, video games and roller coasters. Be sure to catch a laser show at the planetarium and say hi to Lizzie, the center’s Burmese python. Tar River Trail – Take in the history and natural beauty of eastern North Carolina along the Tar River Trail, which meanders past marshes, a waterfall, city parks and Stonewall Manor, a beautifully restored antebellum mansion. Reach the trail less than two miles away. 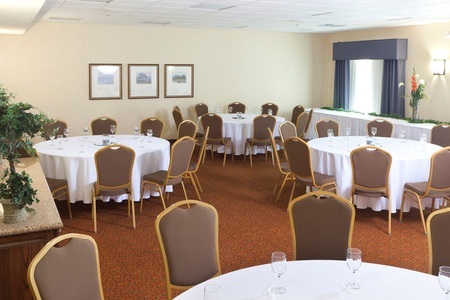 Host a small meeting or a grand celebration for up to 110 people at the Country Inn & Suites, which offers two meeting rooms with free Wi-Fi, audiovisual equipment and access to catering services. 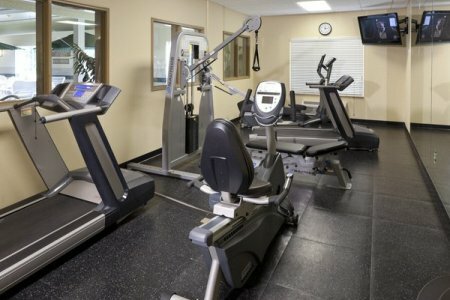 Our facilities are just off I-95, making them convenient for guests. If you need extra space, we can open our breakout rooms or set up your event outside under tents. 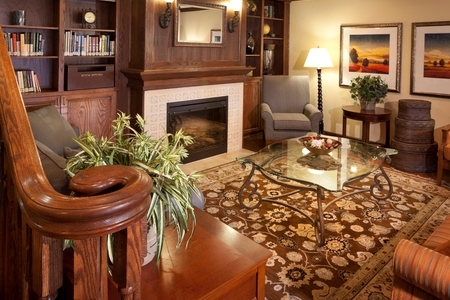 Be sure to ask about the hotel’s special group rates, perfect for sports teams.